SARGODHA: Divisional Public School (DPS) Sargodha on Saturday organized a ceremony to commemorate the tragic Army Public School (APS) Peshawar incident. Deputy Commissioner Sargodha Silwat Saeed was the chief guest at the ceremony, whereas, Principal Divisional Public School, Madam Faiza Moeen, presided over the ceremony. Addressing the ceremony, DC Silwat Saeed said the incident of Army Public School Peshawar was a tragic incident in Pakistan's history which could not be forgotten. 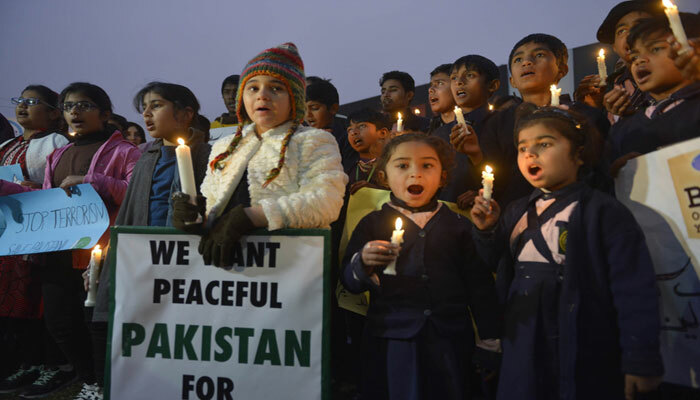 The schoolchildren of DPS staged a candlelit vigil, a walk, tableaus and sang national songs to pay homage to the martyrs of APS Peshawar. The parents of schoolchildren were also present in the ceremony.